Heathrow expansion is long overdue. To maintain its pre-eminent position as centre of the world financial markets and to position itself as it must in the post-Brexit future as the world’s leading free market trading economy, Britain needs the best air transport links in the world. Theresa May must approve expansion at Heathrow Airport without further delay, and every sign now is that she intends to do so. For decades, successive Ministers have ducked the need to address the fact that our major London airports have reached their current capacity and that major expansion is now essential if we are to cope with growing demand and maintain our international air transport hub status. But the competition, largely between Gatwick and Heathrow Airports, to be the beneficiary of that expansion, combined with the environmental implications for residents on the flight paths, have made the issue far too contentious and politically toxic. There have been various inquiries and commissions over the years which have made a variety of recommendations. Boris Johnson MP, when Mayor of London even suggested that we build a new Island in the Thames Estuary to be the base of a new airport; and his subsequent election as Member of Parliament for Uxbridge saw him pledging everything possible to stop the expansion of Heathrow on whose major flight paths that constituency lies. The former Secretary of State for Transport, Justine Greening MP, who is now Education Secretary, is also in a pickle. Her constituency of Putney in South West London, is also on the Heathrow flight path and she has previously made it abundantly clear that she could not support expansion of Heathrow. Other Ministers have similar problems. But staring every politician in the face is the obvious answer that our world leading airport, Heathrow, is the logical place to invest. 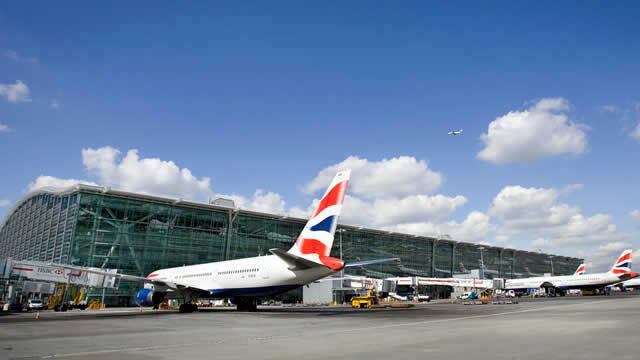 It is a successful brand, respected around the world and, being to the West of London is ideally-located to serve the whole of mainland Britain, both as a hub for internal flights and as the leading point of departure and arrival for international flights. It is not just the airport itself that is clamouring to be allowed to expand. British business needs Heathrow to expand if it is to realise its own potential in the challenging post-Brexit environment for which it is now preparing. Heathrow expansion will create up to 180,000 jobs and up to £211bn in economic benefits across the UK by 2050, the previous Government’s’ Airports Commission analysis found. And it is not just London that would benefit. £114 billion of new business and over 100,000 of those jobs would be outside London and the South East of England. Of course, the pill for local residents affected by expansion was also sugar coated by the Final Report which recommended a ban on all night flights in and out of Heathrow, stricter noise controls, legally binding air quality standards, and a firm commitment that there would be no further new runways at Heathrow in the future. To drive the decision-making forwards, Theresa May, as Prime Minister, is personally to Chair a Cabinet Committee that will make the final recommendation and put the matter to Parliament for a vote. She has shown a determination not to shirk these tough decisions and will ensure that this one is taken and implemented, just as she has made it clear that the Trident nuclear deterrent will be upgraded; that Brexit will be delivered; and that greater choice in high quality education will be ubiquitous. So, the objective is identified: a clear and unambiguous decision on which Airport should be expanded, and on what terms to curb its environmental and social impact. But what of the publicly stated opposition of several Cabinet Members, including Boris Johnson and Justine Greening, to Heathrow expansion if that is the side upon which the Cabinet Committee comes down? Would we see a split at Cabinet level, dealing a blow to the credibility of and confidence in Theresa May’s Government? Well, frankly, that scenario is readily avoided, not by shirking the decision, or by taking it secretively so that nobody knows who supported what. No, the way to do it is in a completely open and transparent manner by allowing Cabinet Members to vote as they see fit on a matter which may be one of national importance, but it’s hardly one of party political division (other than by the Greens who would have us all travel by horse and cart if they were given their way in their determination to stop air travel altogether). Yes, political games might be played by the Labour Party or by the SNP, but in reality it is in everybody’s best interest for this long-delayed decision to be not only taken but implemented. So, a free vote to allow Cabinet members to continue to oppose Heathrow expansion whilst keeping their jobs and their credibility with their local voters, is the obvious solution. And lo, a memo proposing just that has been spotted in the hands of a civil servant on the London Underground. David Cameron as Prime Minister maintained a clear (if flawed) Government policy of remaining in the European Union whilst allowing his Ministers to take and express a different view, campaigning openly for Brexit. So, Theresa May could relax the principle of “collectively responsibility” on the issue of airport expansion, and it seems she has commissioned senior civil servants to consider the implications of such an approach. More than 15 years of unnecessary and inexcusable delays have beset this decision. Hopefully, Theresa May will be able to take it in October, perhaps under 15 weeks into her term of office. That’s the sort of Leadership our nation now needs, and which it seems to be getting. If only we were able to look to Labour for the leadership it should also be providing on these crucial issues as Her Majesty’s Official Opposition. Its performance is so lamentable that it is distorting the checks and balances in the working of our Parliamentary democracy, but sadly Labour’s death rattle shows no signs of ending any time soon. Heathrow expansion, in preference to that of Gatwick, is not 100% certain, but it does seem the Government is leaning in that direction, and whilst not normally a betting man, your author is popping down to William Hill’s for a flutter! The article first appeared in The Catholic Universe of 16th September 2016.